The coffee supply chain is something many people in specialty think about and interact with on a regular basis. But it isn’t necessarily something those outside of coffee have really given much thought to. For all they know, coffee starts over there and ends up over here and everyone is paid fairly along the way (that’s why coffee is so expensive nowadays, right?). As many start to think more globally, though, an interest in the coffee supply chain—and its impact on everyone involved—is coming more into focus for those who want to know where their food comes from. That’s why World Affairs is hosting CONNECT with COFFEE later this month in San Francisco. Featuring Equator Coffees & Teas Director of Coffee Ted Stachura, CONNECT with COFFEE will break down the coffee supply chain and ways consumers can have a positive impact on those producing their favorite beverage. Taking place Friday, August 24th at the World Affairs Auditorium, CONNECT with COFFEE is just one of over 100 yearly events put on by World Affairs, a non-profit organization that brings together “thought leaders, changemakers, and engaged citizens to share ideas, learn from each other, and effect change through in-person experiences,” per Julia Levin, World Affairs’ Program Officer. Past speakers have included, authors, filmmakers, and former US ambassadors Mike McFaul and Samantha Power. San Francisco is a city that loves coffee and has so many excellent roasters, yet it’s easy to forget that this global commodity can empower communities throughout the world and often in remote regions. Coffee can contribute to a more sustainable future, both in terms of the economy and the environment, if grown in fair and environmentally friendly ways. That’s why they have invited Stachura to a special morning session to discuss the supply chain as well as Equator’s “chain of well-being,” which “drives their business philosophy and values the stakeholders in both communities with respect for the people, the process, and the product,” per the event page. Along with discussing the complexities of how your morning cup makes it halfway around the world to you and all the those affected along the way, Stachura will also be bringing some Equator coffee for attendees to enjoy and he may just provide a few tips on how to make a better cup at home. CONNECT with COFFEE gets starts promptly at 9:00am on August 24th. It is free to attend for all World Affairs members and guests and $5 for non-members. Tickets are available for purchase here. 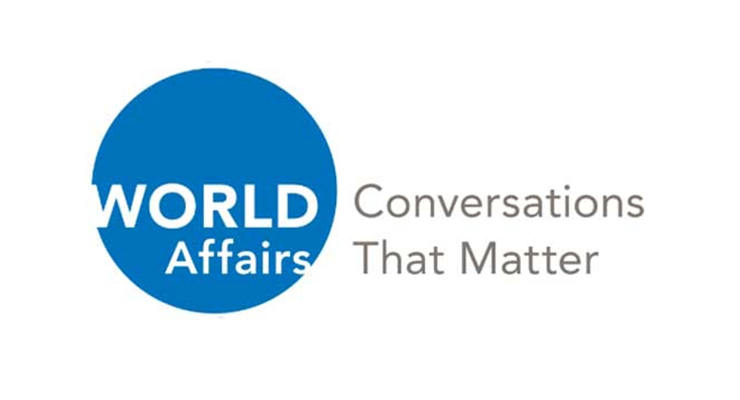 For more information on CONNECT with COFFEE or any of World Affairs’ upcoming programming, visit their official site. Top image via World Affairs. Disclosure: Equator Coffees is an advertising partner on Sprudge Media Network.